If you have never taken advantage of the services provided by a psychic, you may wonder if it is worth the time and money. Psychics can help guide you through the labyrinth of any number of personal issues by helping you get the information from your guides that you are receiving, but perhaps not recognizing. Total belief in psychic abilities is not required, but having an open mind is important. There are many different types of psychics and some are better than others. Some psychics, like John Edward, are mediums, which means they communicate with departed loved ones. 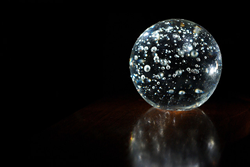 Others may use tools, such as pendulums or crystal balls to receive information. Some psychics who have had training in counselling or psychology may not even advertise themselves as psychics, but use their intuitive abilities as an enhancement to their counselling services without the client being aware that the counsellor has psychic abilities. If your pet has issues and you see a pet psychic, you may also receive information that pertains to your own issues. Many times, issues in pets reflect issues in the owners, so getting to the bottom of what is bothering a pet can help you get to the bottom of what is bothering the owner. So where would you go to get the best psychic guidance for your situation? Almost everyone I know has been to see a psychic at some time in his or her life and some see psychics regularly. Friends should be your first line of inquiry when determining which psychic to visit. However, friends should also not be your last word on the subject. Every psychic will not resonate with everyone equally well. Sometimes one person can have a terrific reading, while another will have a disappointing reading from the same psychic. There are a lot of factors influencing the outcome of a psychic reading. If you are not open to allowing the psychic to tune into you, then the reading may not be as fruitful as it could be if you relaxed and opened up to it. If the psychic is having an off day, then he or she should recognize this and stop the reading. But some psychics may not do that, instead, attempting to do the reading anyway, with some disappointing results for the client. Online psychics and tarot card readers are one option for getting psychic advice. Keen and California Psychics are two popular sites, but I have not used them myself. A lesser-known but very reputable site is 12Angel, which recently merged with 12Listen.com. They are quickly becoming the emerging choice for reputable and trusted psychic advice. I have personally met a few of the readers on 12Angel and had a reading from Tatiana. She was very good and immediately connected with my aunt, who had recently passed. If you don’t want to simply pick a psychic at random and take your chances, try subscribing to their newsletters or any other free services that they offer to see if the site resonates with you. 12Listen has a few different newsletters to which you can subscribe to get a taste of what they offer. As well, if you investigate the sites from the perspective of a psychic who would want to read for them, you will get an idea of how carefully they screen the psychics that they hire. For example, a prospective psychic for California Psychics would apply via the Hiring Psychics page. I have had some really great experiences with psychics at psychic fairs. It is just as important to investigate a prospective psychic at a psychic fair as it is to investigate one that you will be dealing with online or through any other medium. If you have the time, go to the website for the fair and take a look at the various psychics who will be attending. Not all psychic fairs list this information, and not all of the psychics of those that do will be listed on the website, but it will make your decision to choose a psychic reader at the fair much easier if you have an idea of who is there and what is their experience. As well as the information on the psychic fair website, you will also be able to find the personal website for the psychic that interests you. This will give you much more information about that psychic. Other sources for psychics include holistic healing centres, where some of the practitioners may also provide psychic services, newspapers and magazines where psychics advertise, or bulletin boards at local metaphysical bookstores. Some stores even have resident psychics that will do readings on specified days. Any of the above resources can help you to find great psychic guidance. But you do have to do your research. As with every industry, there are varying levels of competence and experience. Find out as much as you can about the psychic you are interested in seeing, and, if possible, contact him or her to ask questions about what you can expect from a session. Otherwise, ask your questions from the service or assistant who handles the bookings. When contemplating using online psychics, you might want to spend some time on online forums to find out about a specific psychic or psychic service. If you keep an open mind and understand that no psychic will ever be 100% correct, then psychic guidance can be a useful tool to help you work through almost any dilemma. Katz, Debra Lynn, You are Psychic: The Art of Clairvoyant Reading & Healing, First Edition, Fifth printing, Woodbury: Llewellyn Publications, 2007.